This tab of the editor colors editor window let’s you modify the color and look of every highlighted item in the edit window. The list on the left is a list of available token types. 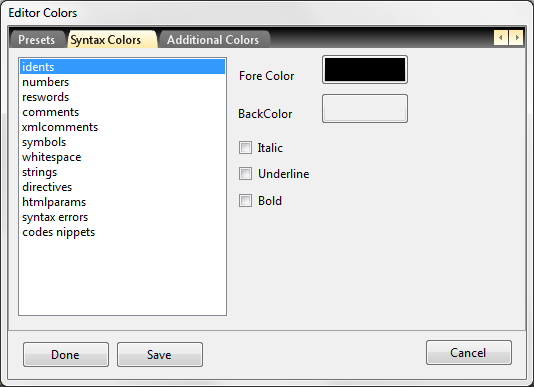 Select any of them to modify its parameters (Fore color, Back color, underline, bold or italic).